I've received numerous emails asking me how a prospective patient should choose a plastic surgeon. Unfortunately, with medical insurance reimbursements declining, many physicians are attempting to become "plastic surgeons" in order to make more money. This can be anyone from your family doctor to your ER physician to even your dentist. There is no law against a person calling themselves a plastic surgeon or even advertising themselves as that in the paper or yellow pages. Heck, I can put an ad out that says I'm the world's best cardiologist, and if I could convince you to let me perform angioplasty on you then there is no law against it! 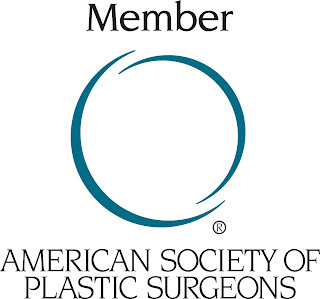 My first advice to a patient is to go to the website: http://www.plasticsurgery.org and find surgeons certified by the American Board of Plastic Surgery in your area. This website lists nearly every board-certified plastic surgeon in the U.S.
Second, make sure that the board-certified plastic surgeon you select is proficient in the surgery you are interested in having. Plastic surgeons are trained in a wide array of plastic surgery, including hand, reconstructive, and cosmetic surgery. Just because I was fully trained in hand surgery doesn't mean you want me reattaching your thumb! Third, meet with the surgeon(s) to make sure you are comfortable with him or her. There is no better indication of how your surgical experience will be than the face-to-face consultation with the surgeon. If you don't meet the surgeon during the consultation or it is very rushed, it is an indication that the surgeon may also rush your surgery and may not take care of you afterwards. Finally, there is a difference between a cosmetic surgeon and a plastic surgeon. The field of plastic surgery is very difficult to enter, as the residency positions are extremely competitive to obtain and consist of at least five years of rigorous training with at least two of those years dedicated to plastic surgery. Cosmetic surgeons, on the other hand, can be trained in one of many fields, including ENT, general surgery, OB-Gyn, and dermatology. Often, these practitioners can abruptly change their medical practice to become a cosmetic surgeon with as little as one year of cosmetic surgery training. I once had the family physician of a patient of mine try to convince her to cancel her facelift with me so that the family doc could perform the facelift herself! Crazy! Now, there are some outstanding cosmetic surgeons out there, don't get me wrong. I often send difficult eyelid reconstructions to oculoplastic colleagues of mine, who would do a much better job than I. Just do your homework and make sure that your surgeon has the training to do the surgery you want. Although he or she may perform a fantastic rhinoplasty, it may not be wise to let a facial plastic surgeon (an ENT with additional training in plastic surgery of the face) perform your breast augmentation. This happens more often than you may think (especially here in metro Detroit). Good luck and feel free to comment. Labels: How Do I Choose a Plastic Surgeon? 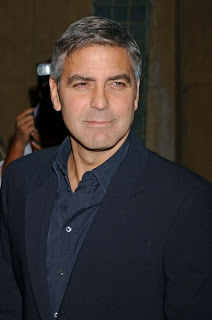 Several sources are reporting that George Clooney has admitted to having plastic surgery last night on the Oprah pre-Oscars special. 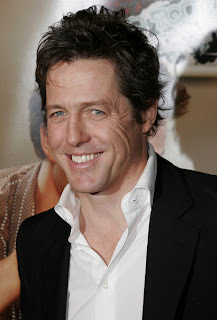 He has confessed a blepharoplasty to pal Julia Roberts, who replied that she hasn't had any surgery done "yet." 1. The only postoperative photo I've seen of George shows a nice result. 2. I question whether Julia was being honest. She does appear to show some signs of a rhinoplasty in the past. undecided about his opinion on going under the knife, but has developed a liking for some people's enhancements. He says, "I'm ambivalent about it, although I feel sorry for a lot of these Beverly Hills wives who've had so much done that they look a little scary these days. "On the other hand, I've seen some plastic surgery that I've found rather strangely sexually attractive." I guess that includes just about all of us who find stars such as Carmen Electra, Jennifer McCarthy, and maybe even his old flame Elizabeth Hurley attractive. Plastic surgery doesn't have to look unnatural or weird. It can obviously be used to enhance a person's appearance! 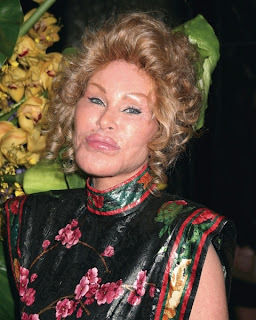 Jocelyn Wildenstein - Part II - What Plastic Surgery? Chin augmentation: Enlarges the chin with an implant. All of these surgeries can create very natural, youthful results if performed correctly and in the right patient. Unfortunately, her surgeon has overdone these procedures, creating vastly exaggerated results. This is also not anti-aging surgery, but facial deforming surgery in my opinion. In the next post I will give you my opinion on how I would correct what has happened to her. Click HERE for Part III of the Jocelyn Wildenstein series: How I Would Fix Her Plastic Surgery. To view streaming video of Dr. Youn on VH1's Plastic Surgery Obsession, click here. Jocelyn grew up in a middle class family in Switzerland. There she became a skilled hunter and pilot. She eventually met and married billionaire art collector Alec Wildenstein. Marriage was difficult. Though Jocelyne tried as hard as she could, it was sometimes a thankless task to jolly her husband out of his somber moods. The only consolations, it seemed, were the lions in his private jungle and his priceless art collection. When Alec's eye began to wander after many years of marriage, Jocelyne grew jealous and believed that drastic measures were called for. Pushing fifty and insecure about her looks, Jocelyne visited a renowned plastic surgeon. She wanted to revitalize her appearance in order to recapture the Alec she was so desperately in love with. The first surgeries were successful. This happy state of affairs lasted quite some time, and Jocelyne had the feeling that things were once again back on an even keel. So it was with both shock and sadness that she learned Alec wanted to sleep with other women. Not knowing what to do, a desperate Jocelyne formulated a plan that was so audacious in its daring that she may be forgiven for failing to see its drawbacks. Jocelyne realized that Alec loved his jungle estate, and the cats that inhabited it, more than anything else in life. So armed with this information, she returned to her plastic surgeon with an unusual request: She wanted to be transformed into one of the giant Cats that Alec loved so much. Though surprised at this unorthodox request, the surgeon did his best to comply. 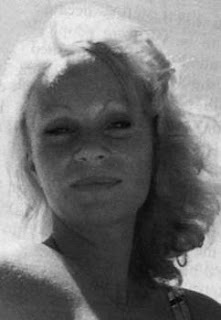 After countless surgeries - no one can say with certainty just how many - Jocelyne the Swiss beauty disappeared, and "The Queen Of The Jungle" took her place. Jocelyne's appearance was indeed striking. The first time Alec saw his new wife, it is said he screamed at the sudden appearance of this creature that confronted him. Naturally, Jocelyne was disappointed, and returned to her plastic surgeon for more work. It is rumored that several prospective patients ran screaming from the office, so concerned were they that they would end up looking like Jocelyne. As the reader may well imagine, this did nothing to improve the poor socalite's anxiety. However, Jocelyne persevered, and hasn't stopped to this day. When questioned as to the precise number and types of surgeries she's had, she merely replies with a smile "no more or less than any other woman". Part II will focus on what I think she has had done. Click HERE for Part II of the Jocelyn Wildenstein series: What Plastic Surgery Has She Had? To view streaming video of a segment of Montel that I did on plastic surgery addiction, click here. 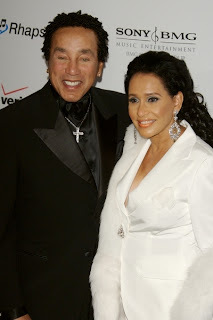 Make Me Heal.com has a wrap-up of my plastic surgery observations from the Grammy Awards show this past Sunday night. We cover Beyonce, Christina Aguilera, the Dixie Chicks, and even Carrie Underwood. Check it out if you have a minute. Thanks to the folks at Make Me Heal.com. Katie Couric looks a bit unusual lately. 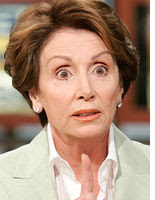 If anyone has watched the CBS Evening News recently, you may have noticed that her eyes and eyebrows look funny. What is going on? Check out a recent segment here. Compare it to this, aired a month ago. In the more recent clip you may notice that her forehead doesn't move, her eyebrows are more arched, and she has an almost "angry" appearance. This is not seen in the older video. The older video does show her elevating her eyebrows and creating some wrinkles in her forehead. There are no forehead wrinkles seen in the recent clip. I believe that this recent change is due to what I call the "Botox Brow." Botox can be injected into the forehead and between the eyebrows to remove wrinkles there. While it is very effective in doing this, it can create a side effect of an overly arched eyebrow which can make the person look angry, or sinister. The look does seem to diminish with time. I think she looks better without the Botox. Another example of the Botox Brow, I believe, is Nicole Kidman. 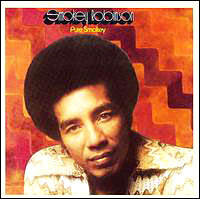 I was watching the Grammy Awards last night and found Smokey Robinson's appearance somewhat frightening. He looks nothing like he used to. He appears to have had a browlift which has pulled his brows way too high, giving him a permanently surprised look. With my HDTV I swear I could almost see the scars of his probable blepharoplasty surgeries as well. When you compare his face now to the one before, you can see that his face is much thinner and has very little loose skin. This is very unusual for a 67 year old man, and is a sign of a likely facelift. I believe that Smokey is the classic case of each plastic surgery procedure being successful in doing what it's supposed to (browlift lifts the brow, facelift removes loose skin, etc. ), but these parts adding up to an overall whole which looks unnatural, or done. The job of a good plastic surgeon is to put these parts together appropriately, so that a person does not look odd. MSNBC is reporting that Anna Nicole Smith may have had surgery to repair a breast implant prior to her unfortunate death. According to their source, she was prescribed multiple pain medicines to help her cope with the pain from the surgery. She is quoted by Daily Express newspaper as saying: "I don't use Botox or Restylane and I've never had any surgery. A male friend in the fashion industry once asked me, 'Why is make-up any different to getting Botox?' I said I didn't think it was a fair comparison, make-up is removable, it's not permanent. But changing the natural chemical state of who you are? I'm not sure." In March 2006, the Desperate Housewives star admitted having Botox and collagen injections - which plump up the lips - to keep her looking young. Teri - who plays hapless Susan Mayer in the US TV show - said: "In the past, I've had Botox and collagen." Hmmm, that's a pretty smooth forehead she is sporting in this photo from 2 weeks ago... Must be good genes. 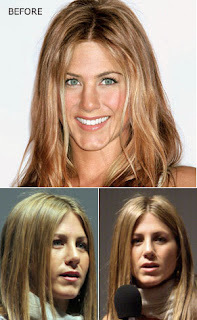 US Magazine has some before and after photos of Jennifer Aniston's nose. She has apparently admitted to having a septoplasty performed to improve breathing. This is a common surgery which can also straighten a crooked nose as a byproduct of repairing the septum. Her after photos do appear to show her nose to be straighter and thinner than before. It looks like her surgeon (Dr. Kanodia?) did a very nice job. Has Katie Holmes had a rhinoplasty? Her nose looks quite thinner in the after photo, the possible result of a rhinoplasty with removal of part of the nasal cartilage. This surgery is often performed using a "closed" technique, where all the scars are inside the nose. Personally, I like the older nose better, but the newer one makes her look more mature and older.